Agriculturist June 2015 Board Exam Results (List of Passers, Topnotchers) - Balita Boss! 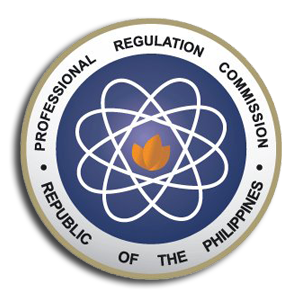 The Professional Regulation Commission (PRC) released the June 2015 Agriculturist Broker Licensure Examination results. The official results were released on Wednesday, June 10, 2015. The examination was conducted by the PRC on June 2, 3 and 4, 2015 in various testing centers across the country which includes Manila, Baguio, Cagayan de Oro, Cebu, Davao, Iloilo, Legazpi, Lucena, Tacloban, Tuguegarao and Zamboanga. A total of 1,888 out of 6,080 examinees passed the June 2015 Agriculturist Board Exam, according to PRC (via PRC Website). DON MARIANO MARCOS MEMORIAL STATE UNIVERSITY-BACNOTAN graduate JULIUS CAESAR MASI AMOYEN topped the June 2015 Agriculturist Board Exam with a passing rate of 87 percent. To download the June 2015 Agriculturist Topnotchers, please click here or here. To download the June 2015 Agriculturist List of Passers, please click here or here. To download the June 2015 Agriculturist Performance of Schools, please click here or here. The Board of Agriculture who administered the June 2015 Agriculturist Board Exam were Fortunato A. Battad, as Chairman, with members namely Rodolfo M. Ela, Gonzlao O. Catan Jr., Vicente L. Domingo and Nora B. Inciong. Registration for the issuance of Professional Identification Card (ID) and Certificate of Registration will be on June 18 and 19, 2015. The date and venue for the oathtaking ceremony of the new successful examinees in the June 2015 Agriculturist Licensure Examination will be announced later, the PRC said. Day 1: Crop Science and Soil Science. Day 2: Crop Protection and Animal Science. Day 3: Agricultural Economics and Marketing and Agricultural Extension and Communication. In June 2014 Agriculturist Licensure Exam, a total of 1,808 out of the 5,022 successfully passed the Board Exam. MARCIAL SUAREZ BULADACO of UNIVERSITY OF THE PHILIPPINES-LOS BAÑOS topped the June 2014 exam with a score of 87.17 percent. Thank you for reading. Please follow Balita Boss? on Facebook, on Twitter or on Google+ to receive updated information about the Agriculturist Licensure Examination.